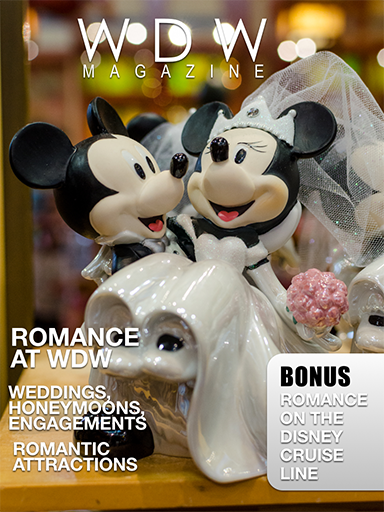 This month we are going to talk about romance at WDW. Yes, I’m serious, romance at Walt Disney World. We’ve all heard about Disney Weddings, but did you know that WDW is a great honeymoon destination? It’s also a great place for an engagement or even for a date. Check this out. This issue is packed with romance. Dave takes a look at the romantic side of WDW. We’ve got the perfect Disney wedding gifts, and we even have a throw down between Danny and Stephanie over the most romantic attractions at WDW. Romance continues in our Best of WDW section as we look at the Villas at the Wilderness Lodge, California Grill, Spaceship Earth and the Art of Disney. 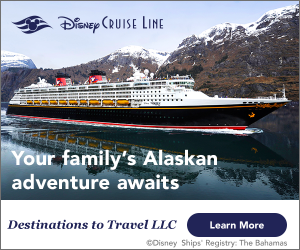 We even look at romance on a Disney Cruise. This issue is full of what makes Disney special. It’s full of love.